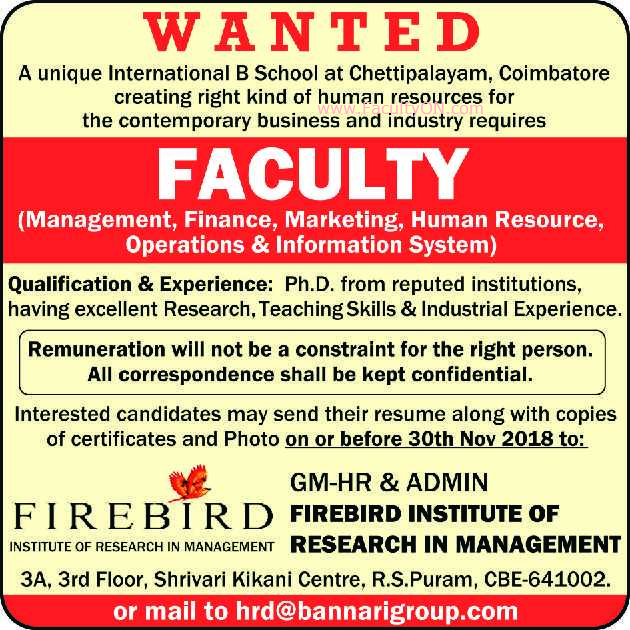 Firebird Institute of Research in Management, Coimbatore has advertised in THE HINDU newsaper for recruitment of Teaching Faculty jobs vacancies. Interested and eligible job aspirants are requested to apply as soon as possible from 30th November 2018. Check out further more details below. How to Apply: Interested and eligible candidates are requested to send application along with CV, copies of certificates and testimonials / PP size photo to email address or postal address provided below.